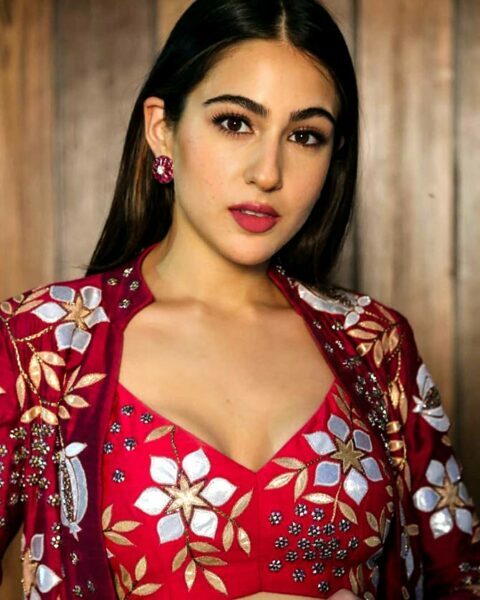 The beautiful and talented actress Sara Ali Khan has become a favourite of many movie lovers and people are eagerly waiting for her third movie to release as they want to see more of her on the big screen. Presently, the “Kedarnath” actress is shooting for Imtiaz Ali’s sequel of “Love Aaj Kal” in which she is playing the female lead opposite “Pyaar Ka Punchnama” star Kartik Aaryan. However, she is also making headlines for wrong reasons as recently she was sent a legal notice by the Delhi Police for not wearing helmet while riding pillion on a bike. Sara was in Delhi for the shooting of sequel of “Love Aaj Kal” and at that time, a video went viral in which she was seen riding pillion on the bike with Kartik. The actress was trolled heavily for the irresponsible behaviour and now Delhi Police has also decided to take an action against her in relation to the incident. The shooting in Delhi has now finished and the team is getting ready for the next schedule. The pair of Sara and Kartik is already being loved by many as they both look adorable together and if you remember, Sara accepted on a talk show that she has a crush on Kartik Aaryan. Hopefully, Sara will be out of this problem soon and will make sure that she doesn’t make any such mistake again. This is very important because being a celeb, she should remember that she has a fan following and her followers keep a track of her activities and might even repeat her acts too. The post Complaint Filed Against Sara Ali Khan For Not Wearing Helmet During Bike Ride With Kartik Aaryan appeared first on RVCJ Media.